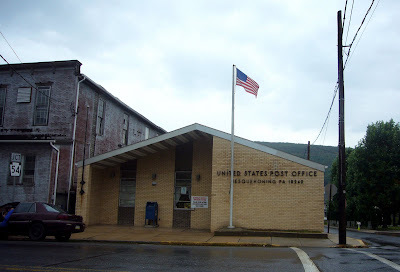 Another post office along Rt. 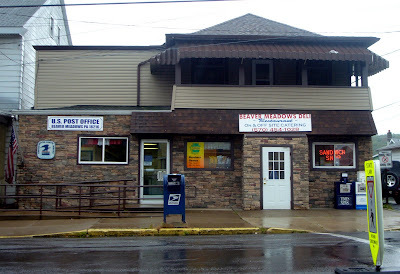 209, this one in Nesquehoning. Till I took this photo on Monday driving south on Rt. 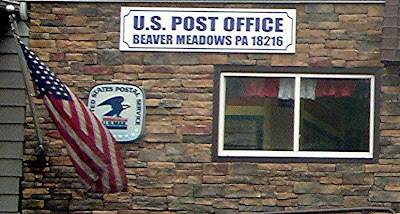 209 from Hazleton, I'd never heard of Beaver Meadows. 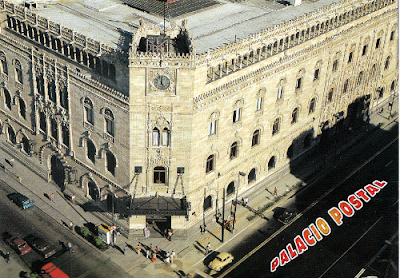 This post office is quite a contrast with the Palacio Postal in Mexico City. Mexico City's main post office is in a Venetian-style palace, complete with ornate staircases and grillwork. 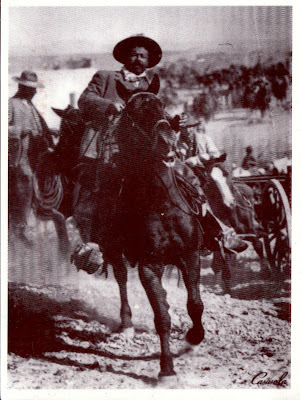 This old photo turned postcard evokes the mad upheaval of the Mexican Revolution of 1910. And yes, that is Francisco Zapata. 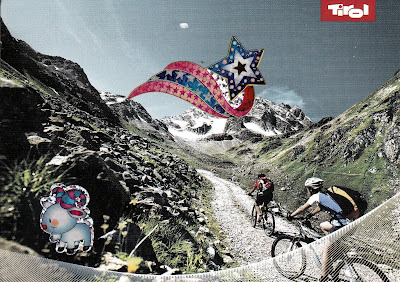 Two postcards from Mrpotani's recent trip to Mexico City. 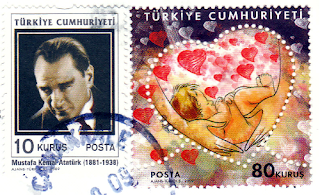 I like the perforations in the stamp on the right and the troubled expression on Kemal Ataturk's face at left. 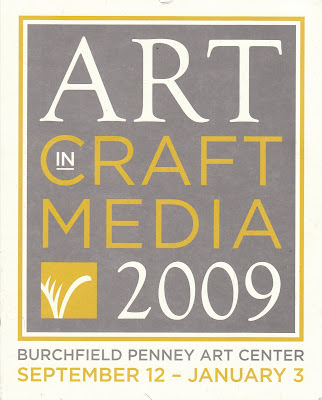 Friend Jozef Bajus is one of 44 artists in Art Craft in Media 2009, at the Burchfield Penney Art Center in Buffalo, New York, through January 3, 2010. 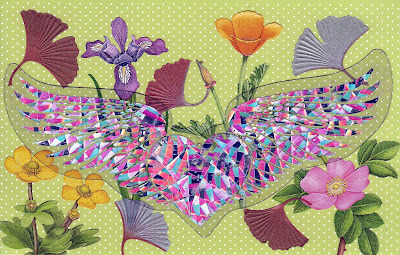 I made this card for someone in Holland who likes angels. A nostalgic image from Germany. 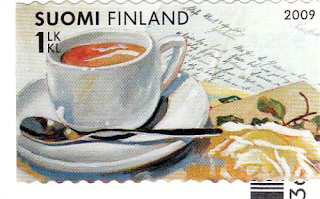 Have a cuppa while reading your mail. A quick card I made this morning to send to a friend. It let me use some of the many stickers I acquired during this summer's visit to Mrs. Grossman's sticker factory in Petaluma, California. 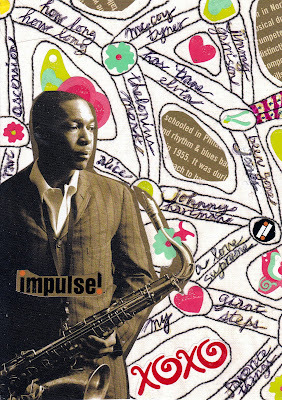 I stumbled on an old ad for Impulse records and was moved to make this small homage to the great John Coltrane. 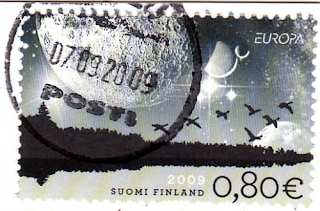 A magical stamp from where else but Finland. 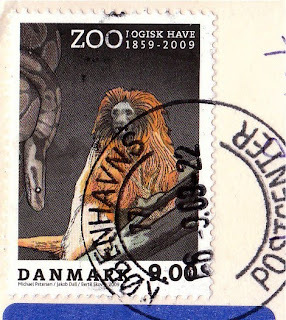 A striking image from the Danish post. 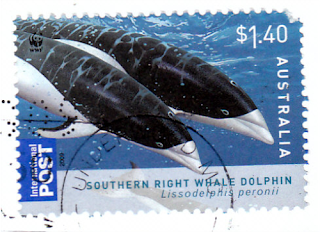 A postcrosser sent these stamps. 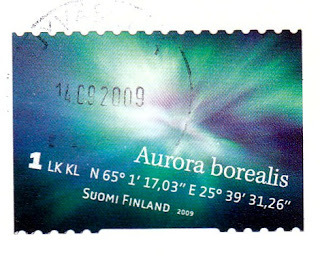 She often uses the station in the stamp on the left. 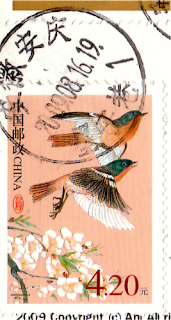 On an envelope from a friend in northeastern Japan. 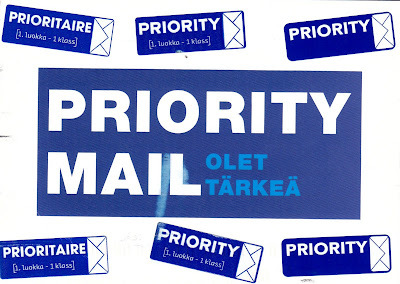 According to the Finnish postcrosser who sent this cool card, olet tarkea (sorry about the missing diacriticals) means 'you are important'. 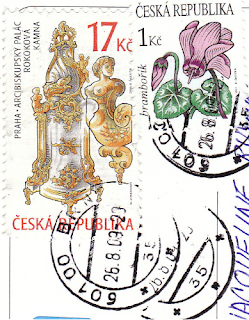 She added 'three generations' of air mail stickers (L to R: oldest to newest) to the card, then used an old 'prioritaire' sticker on the back. 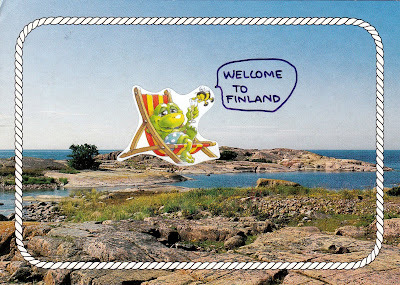 A Finnish postcrosser sent this funny 'froggy' dream of summer. 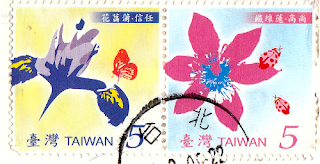 A postcrosser in Taiwan sent this amusing rickshaw card. 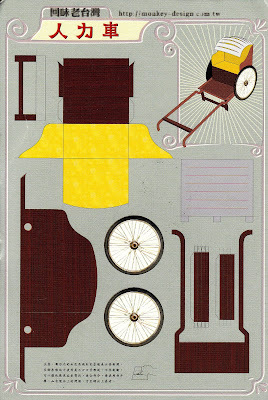 Cut out the parts and assemble to make a little rickshaw. 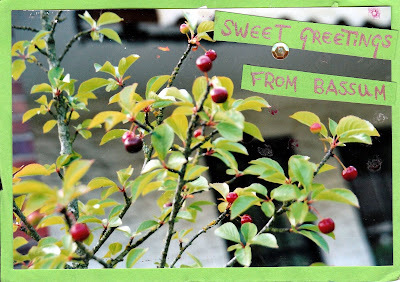 A German postcrosser used a photo of her cherry tree to make this postcard from Bassum, a neighbor of Bremen. I wish I'd had some cherries for breakfast! 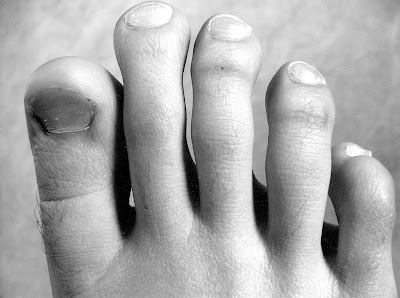 Elisa, a 17-year-old Finnish postcrosser, sent this fabulous photo of a friend's toes. It's really a photo, not a card, but like the Polaroid from Spain a couple of weeks ago it arrived in perfect shape. In teeny script covering the entire back of the photo except for the stamp and my address, she wrote that she loves toes: "They are so interesting!" 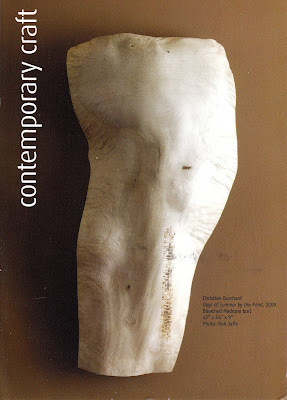 Much of her message, though, was about an intricate dream open to endless interpretation. Thanks, Elisa, for making yesterday a red letter day! 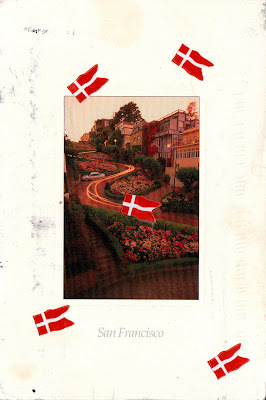 An American postcrosser living in Denmark altered this card of San Francisco's Lombard Street with stickers of the Danish flag. I was in San Francisco in July but not on the famed 'crooked street'. Crooked is interesting. So is the roundabout route of this card. 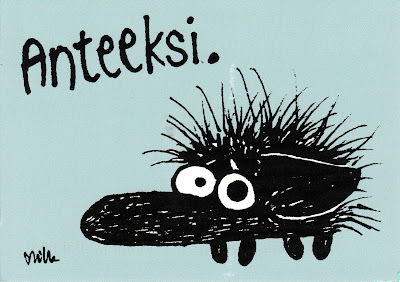 The Finnish postcrosser who sent this wrote that this Milli Paluniemi character, called the "Swearing Hedgehog", is saying, Sorry. The exhibition postcard for a cool alt space show this weekend in San Francisco. Alternative spaces are springing up all over the city in garages, empty properties and people's homes. 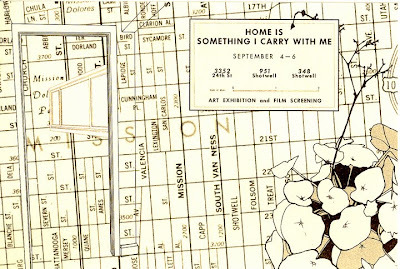 This one asked the visitor to go to 3 different homes for a take on the same theme - home. Great concept, great show! 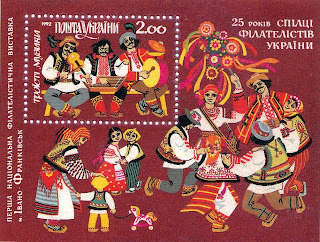 This postcard was designed Alexis Petty, an independent designer in San Francisco. 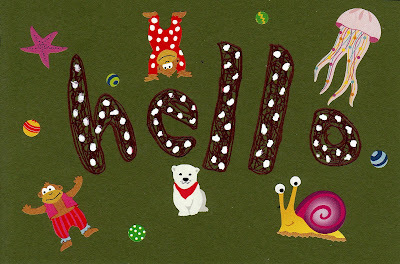 Wonderful postcard, Alexis! A great altered card from mail artist Chandlerguera. She writes that this was her take on how to survive the recession. 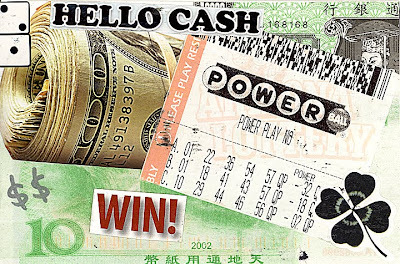 Indeed good luck, a roll of hundreds and a 4-leaf clover would do it! 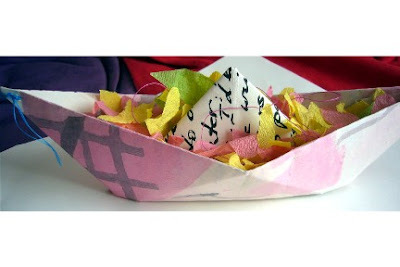 Visit her blog http://chandlerguera.blogspot.com. 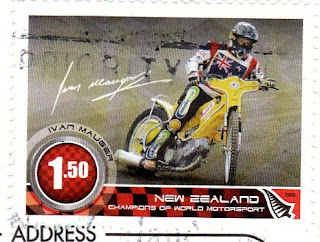 A Dutch postcrosser sent this fab altered card. Wish I were there! 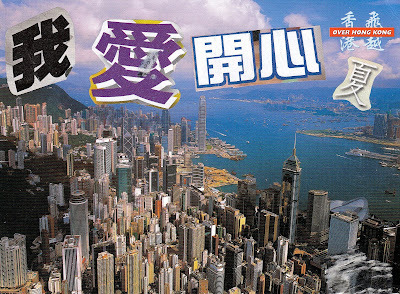 A Hong Kong postcrosser altered this card of her city with Chinese characters that read, "I love happy summer." She says she likes summer because that's when her birthday is. 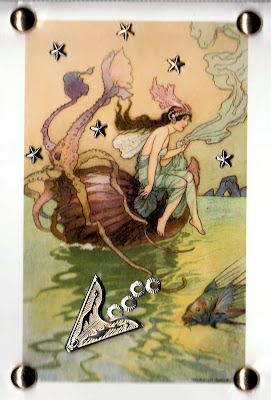 "for the nautilus is my boat"
This magical card from a Canadian postcrosser did not scan all that well owing to the 3-D nature of the embellishments she added. Please imagine it glowing gold and pretty. 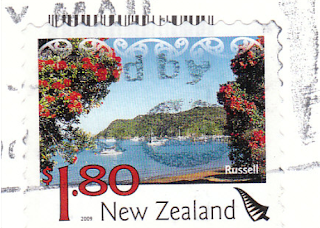 Postcrosser Michelle sent this droll altered card from New Zealand. 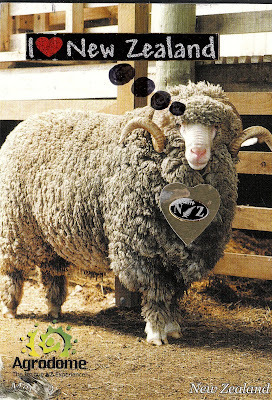 She wrote of the handsome sheep pictured: "I like his impressive horns and how he looks like a proud New Zealander!" Love it! 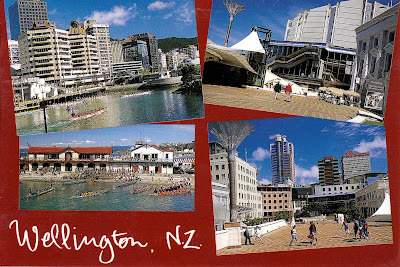 This is the first sent by Wendy, a postcrosser from Hong Kong now studying in New Zealand. 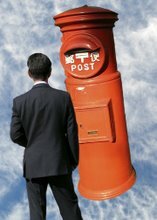 Good luck with your studies and have fun with postcrossing! 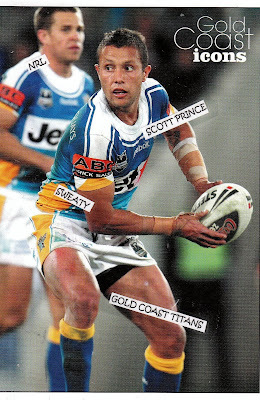 A postcrosser in Australia altered this card showing the "sweaty" Gold Coast Titans, a local rugby team. I'm pretty sure this is the first rugby card I've received.